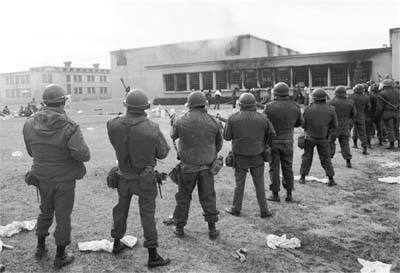 This prison riot was the second deadliest in U.S. history. 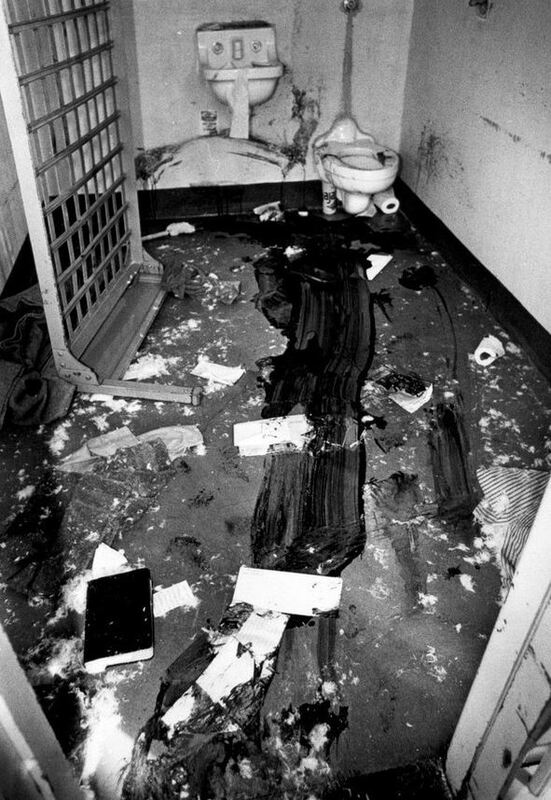 On February 2, 1980, a group of maximum-security prisoners managed to take control of the entire penitentiary, and they and many other prisoners proceeded to wreak havoc for 36 hours. The New Mexico Penitentiary was extremely overcrowded by the 1970s. The guards were understaffed, poorly paid and most didn’t have sufficient training. The warden had instated a “snitch system” that infuriated many of the inmates. The prison personnel was basically overwhelmed, and this system helped them maintain discipline. Several prisoners had brought the issues of overcrowding, inmate discipline, plus the awful food and lack of educational services to the warden’s attention more than once. Their complaints were ignored. On Friday night the riot started a small group of hard-core prisoners were drunk on prison hooch. This group should have been locked in the maximum-security block, but their cells were still being built so. Instead, they were temporarily being housed in a cellblock that was dormitory style. Against procedure, this dorm was unlocked. That night one inexperienced guard was assigned to 100 prisoners in this area. 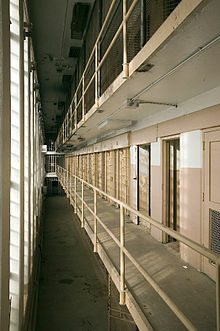 As the riot began, there were only 15 guards on duty in the entire penitentiary to watch over more than 1,100 prisoners. Riled up that their grievances were being ignored and after several hours of drinking, this small group of prisoners overpowered this guard and took his keys. The first place they headed was the prison pharmacy to get access to the drugs. They also unlocked many other areas--letting more prisoners out to roam. They would have been confined to just this one area of the prison but for the fact that they gained access to the prison’s control center. Against regulation, the gate to this area was unlocked. Ironically, new bulletproof glass had been installed in the control center in recent days, but the prisoners managed to shatter this glass with a fire extinguisher. They now had access to the entire penitentiary. Warning: these stories are graphic and disturbing. The original group joined by others had one goal--they wanted revenge. They headed for Cell Block 4. This is where the snitches were housed. They started accessing these cells the following morning. These prisoners were locked in individual cells for their protection. Under normal circumstances, the revenge seekers might not have gained access to them--but for one item that was left behind by outside workers the day before. The prisoners found their Acetylene or welding torches. These cut through the bars. Forty of these prisoners did manage to cut a hole through one wall and escape out into the yard, but many others didn’t. Most of the 33 deaths that occurred during the riot took place in this Segregation unit. They tortured these prisoners still using these torches. They hung one prisoner up and burned his gentiles and other parts of his body until he died. Another prisoner had his head torched until it exploded. Yet another prisoner was thrown over the upper tier with a rope around his neck--hanging him. 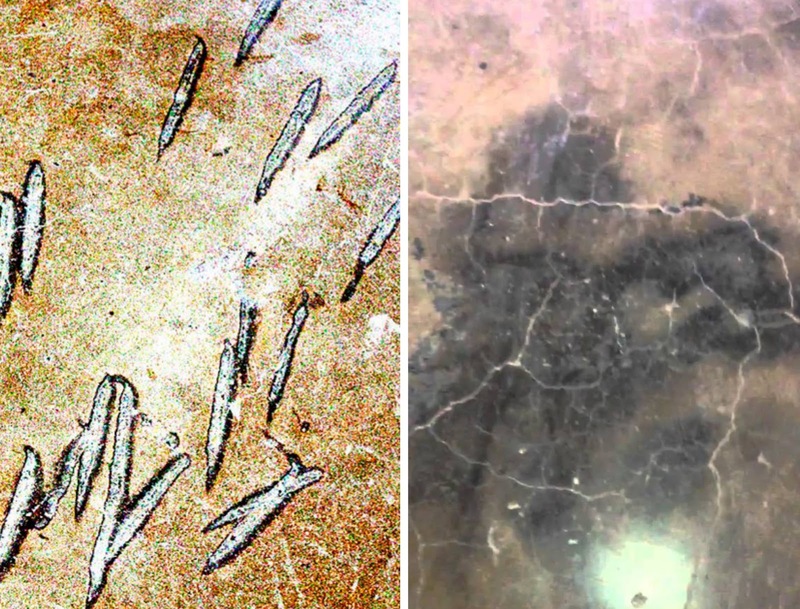 The burn marks from one tortured prisoner can still be seen in Cell Block 4 on the concrete floor. The outline of his body is still evident. This area has been steam cleaned and painted but the burnt shape always reappears. Decapitation indents and burnt outline. One prisoner who shouldn’t have even been at the state pen--because he was mentally ill--wasn’t a snitch but was just in protective custody. They decapitated this man and placed his head on a rolling cart for all to see. One witness reported seeing two inmates with brooms hitting his head around the floor as if it were a ball. Over 90 prisoners were injured. Some died of drug overdoses. Prisoners raped prisoners. Others where stabbed or beaten. Some were piled in the prison’s gym and set on fire. Views of the penitentiary during the riot. Many minimum-security prisoners stood at their cellblock windows or in the yard during the riot and requested help. They called out to the Natural Guardsmen that encircled the outside perimeter of the prison during most of the 36-hour uprising. 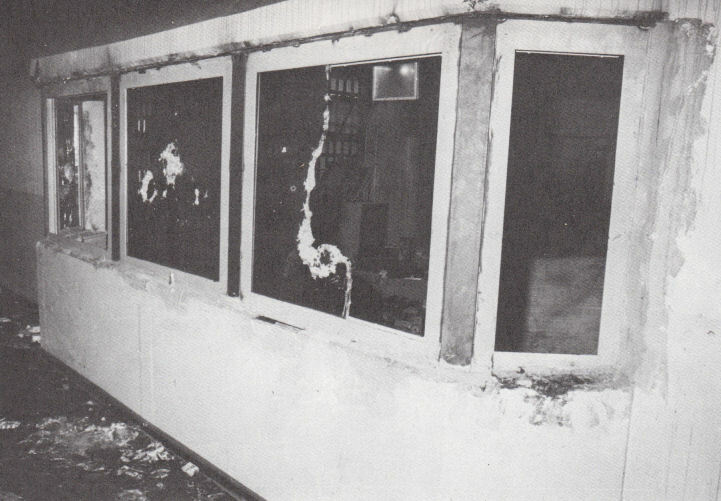 Of the 15 guards on duty, only four managed to hide or to escape. Many prisoner groups captured eleven of these guards. Several of these men were tortured and repetitively raped. No guards were killed, but none of them returned to their job afterward, and most will not talk about what happened--not surprisingly this horrific nightmare scarred them. Early Sunday morning the riot finally ended--with all of the prisoners surrendering as the National Guard entered the prison. Not one prisoner was ever tried or convicted for the murders that took place--many were just transferred to other prisons. This riot did impact how prisons are run in New Mexico. Under the Duran consent decree, the feds were forced to come in to provide oversight for New Mexico prisons for the next two years. After the riot, the state pen was closed down. This site located just south of Santa Fe has a newer maximum-security prison across from Old Main where the riot took place. Parts of Old Main today are used to store movie props, and the rest of the buildings have been used in films, but mostly they remain empty. 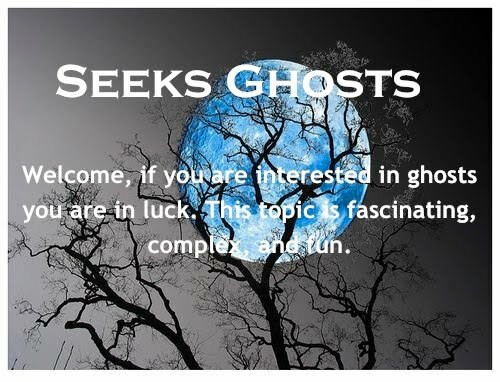 These buildings are considered to be New Mexico’s most haunted. In 2013, historical tours of the old prison started to be offered to the public once a month. Before this several small groups including paranormal groups were allowed access to Old Main. In New Mexico State Penitentiary Riot, Part ll I share two stories about the hauntings in Old Main. Books about riot: Politics of a Prison Riot, by Adolph Saenz, The Hate Factory by Georgette Hirliman, The Devil's Butcher Shop, by Roger Morris. What an incredible event!I remember it happening and it being on the news back then! Truly is amazing what people can do to their fellow humans! Thanks for creating the article!